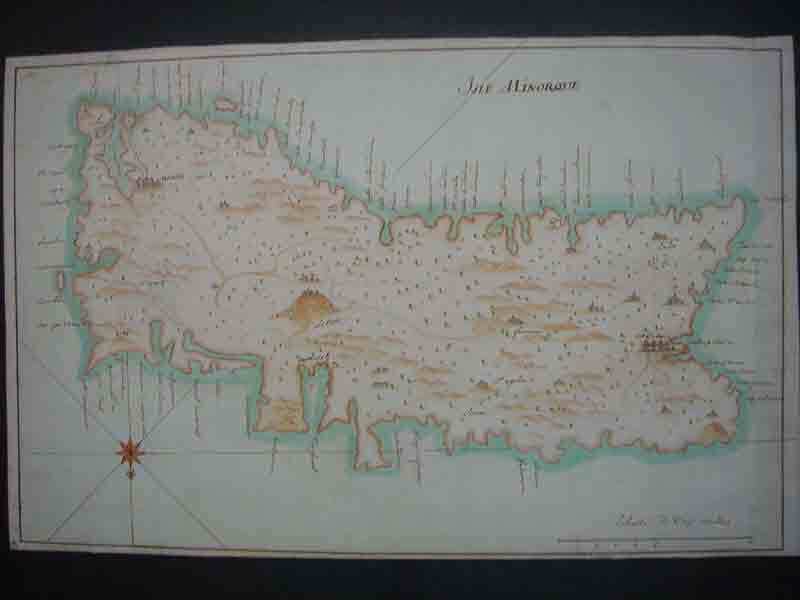 A very rare copy of the Canary Islands with the harbours of Lanzarote as an inset and fine later handcolouring. later colour, on double paper as usual for charts. Excellent copy, nice contemporary colour and two cartouches in B/W, coast of England in contemporary outline colour. 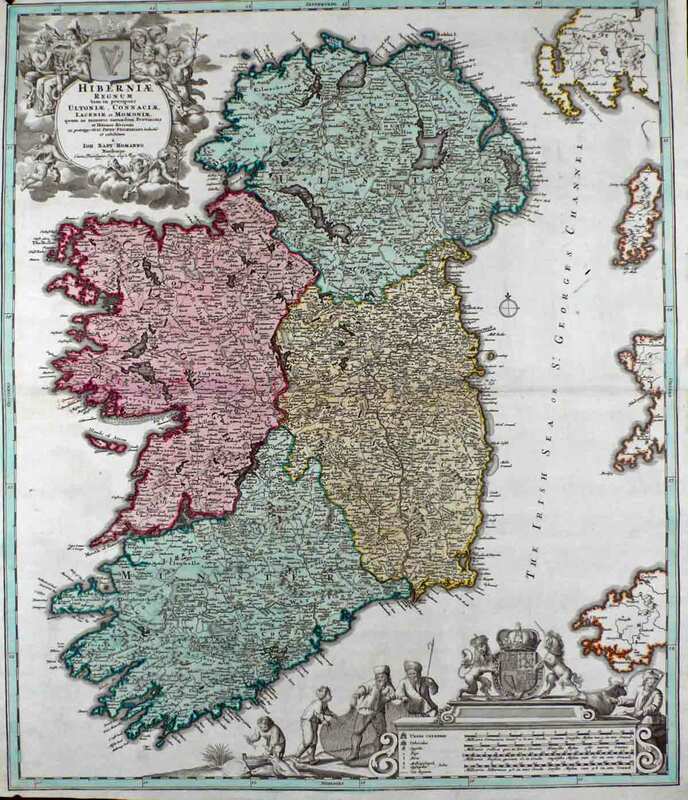 c. 1743 - copper plate engraving - 50x58cm - B/W as issued - upper margin cut short, new margins added contemporarily on three sides to fit into the atlas russicus. Sinus Finnicus von Crohnstadt. 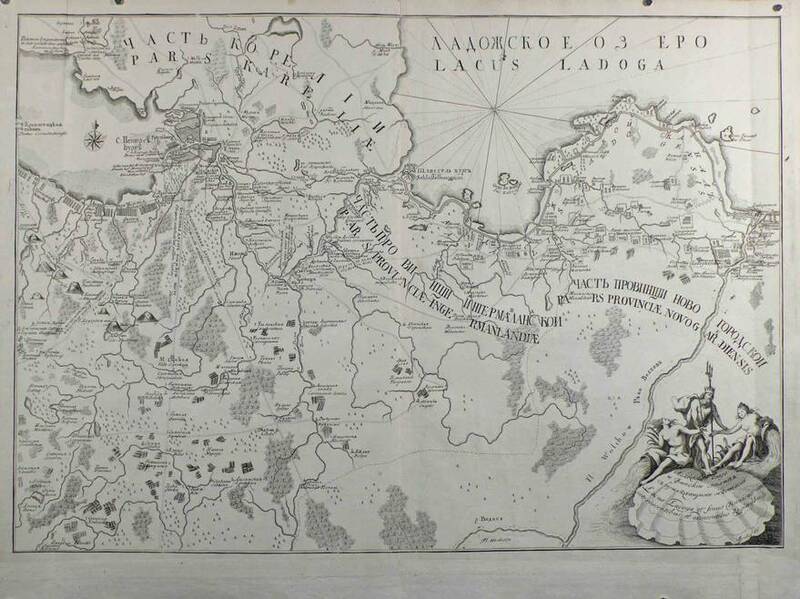 c. 1743 - B/W copper plate engraving 48x62,5 cm - lower margin added contemporarily to fit into the Atlas Russicus. 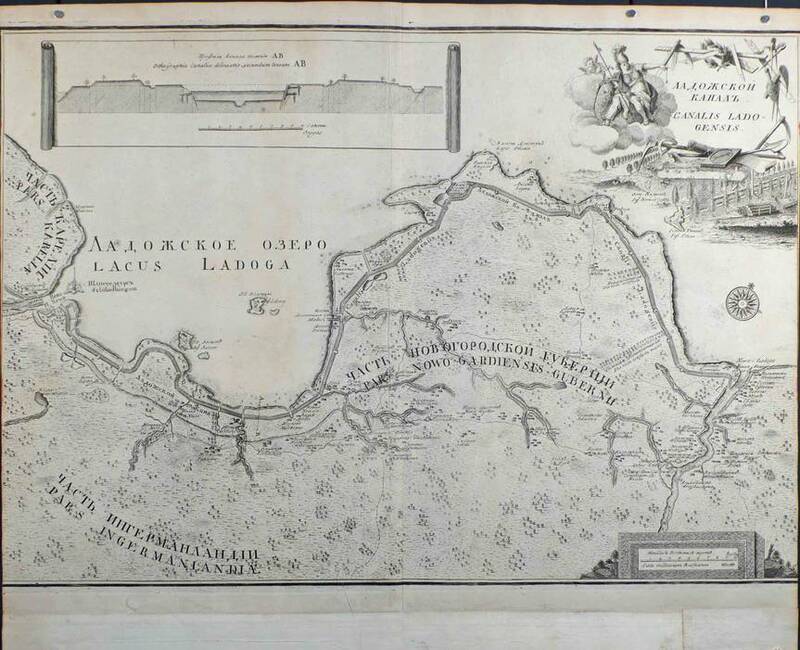 One of a set of maps of the surroundings of new St. Petersburg/Lago Ladoga. This series appeared without any date and there are no traces of publication in documents of the Akademiya Nauk (Bagrow II, p 184). They were probably published by the end of 1743. 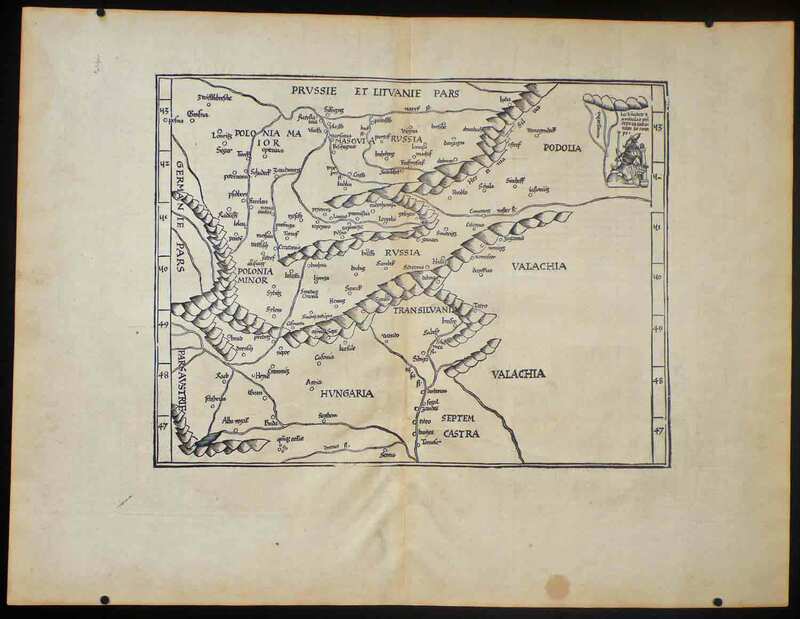 It should be noted that the aforementioned series of maps were all repeated in a new edition by Seutter in Wien (Bagrow). 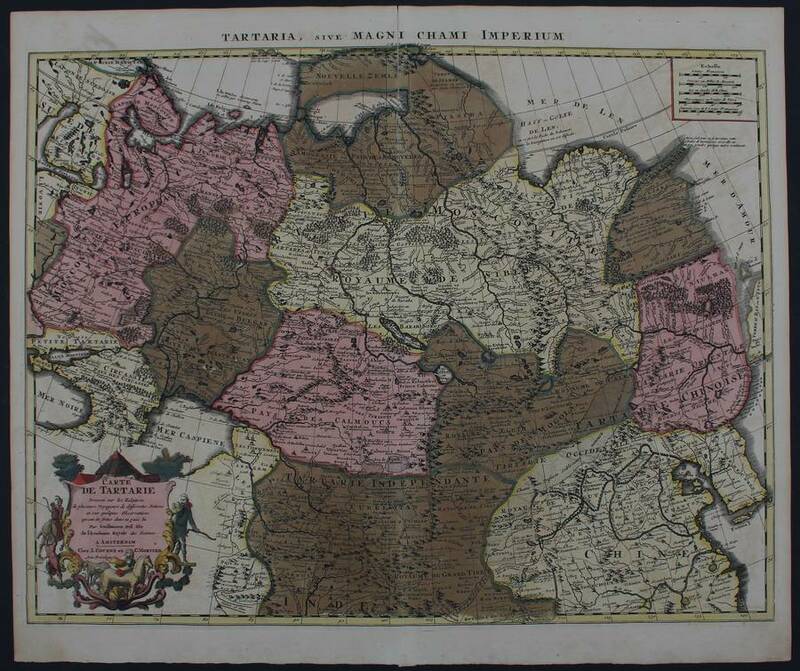 c. 1743 - B/W copper plate engraving - 48x67 cm - lower margin added contemporarily to fit into the Atlas Russicus. 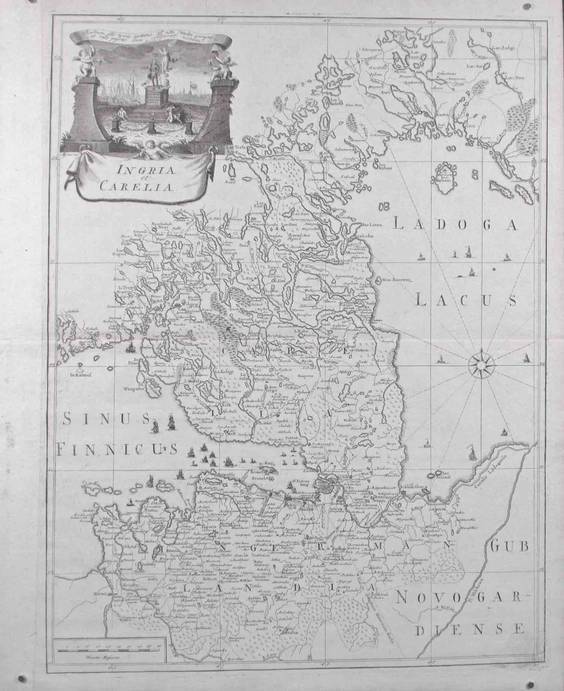 This map shows the Lacus Ladoga and the Sinus Finicus. Text in Russian and Latin. 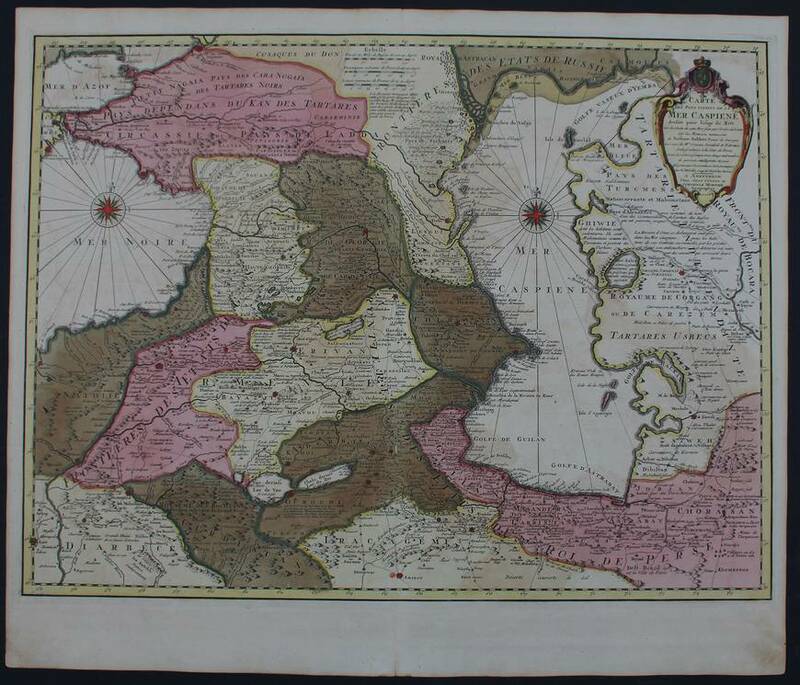 c. 1743 - B/W copper plate engraving - 46,5x61,5 cm - lower margin added contemporarily to fit into the Atlas Russicus. 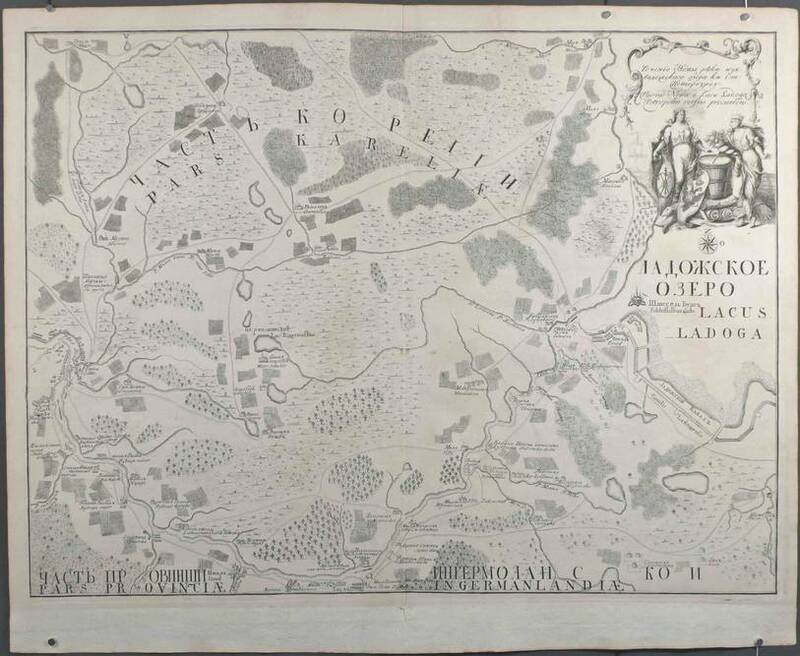 This map shows the course of the Neva River. Text in Russian and Latin. 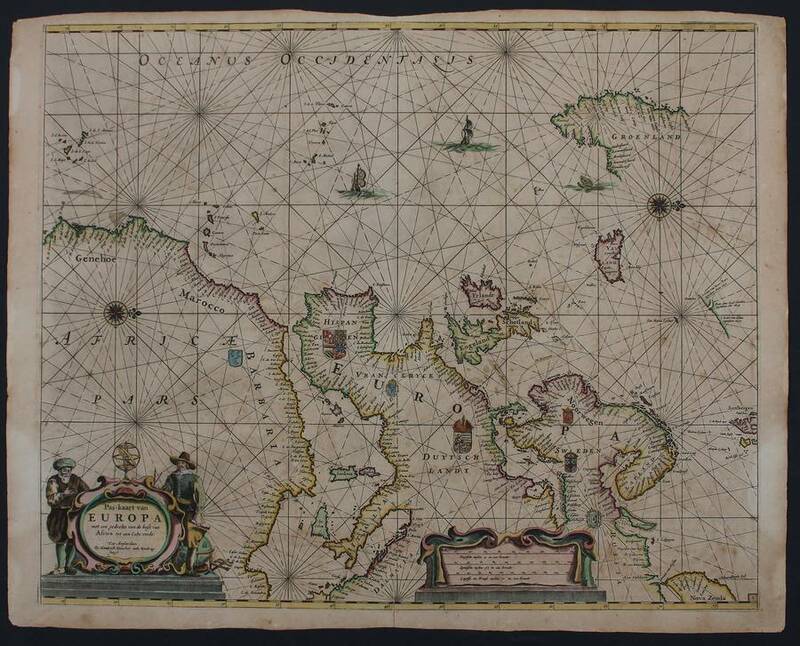 French manuscript map of the island of Menorca, the north directed to the bottom. 37x57cm. 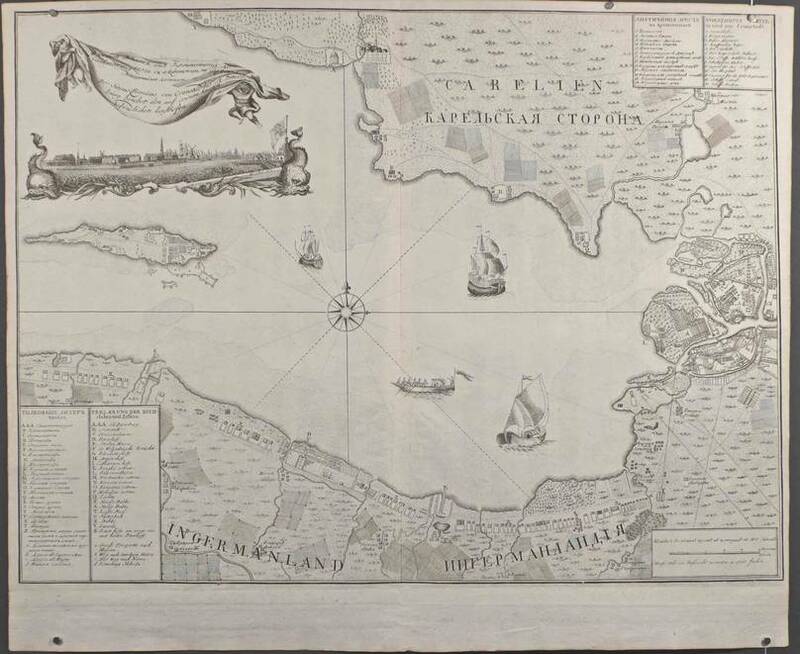 Drawn in brown ink and filled in with water colour, showing the detailed coastline, mentioning all capes and bays. Water colour in outline. 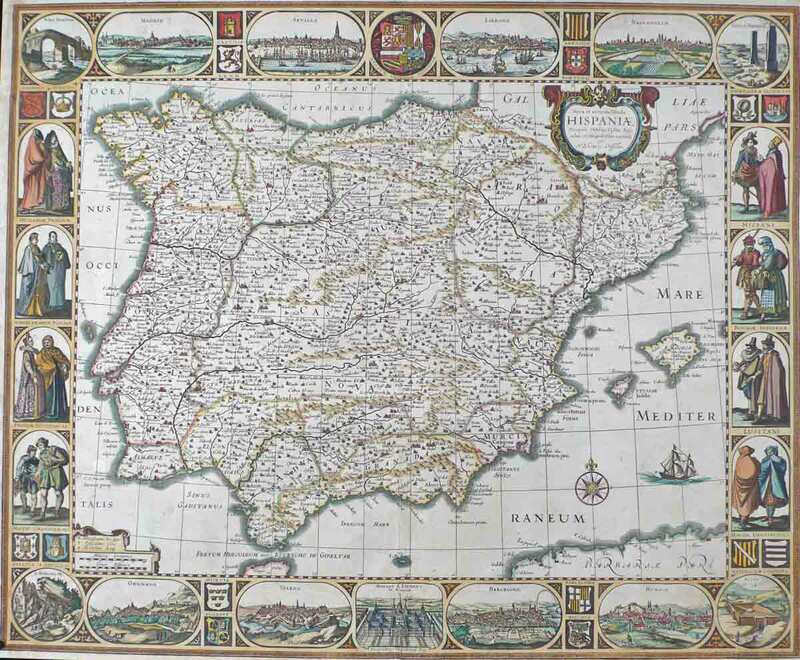 Showing main cities and villages. Slightly crumpled on old folds, else excellent.